A portrait of Valery Gergiev looking thoroughly pleased with the acoustics, after the trial rehearsal with the Orchestra, which was performed in the new state of the art Mariinsky Concert Hall in St. Petersburg. 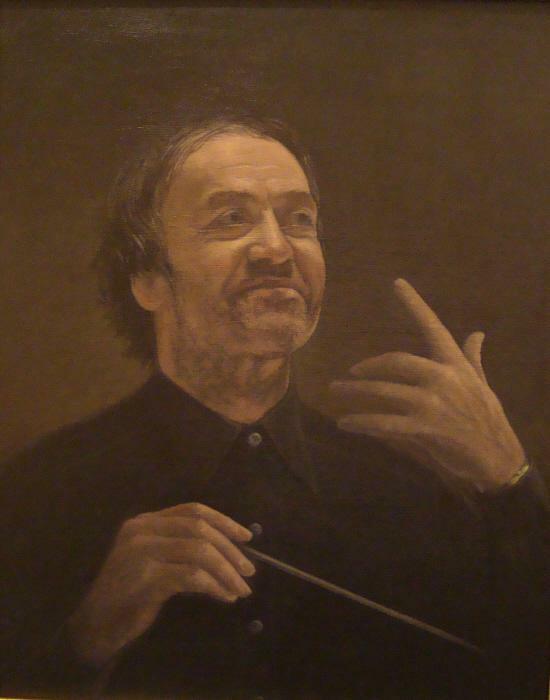 Valery Abisalovich Gergiev is a Russian Conductor and Opera Company Director, Born in Moscow 2 May 1953. General Director and Artistic Director of the Mariinsky Theatre in St Petersburg. Principal Conductor of the London Symphony Orchestra. Principal Guest Conductor of the Metropolitan Opera in New York. The Artistic Director of the White Nights Festival in St. Petersburg.